The exact cause and mechanism of glaucoma is not fully understood. There seems to be some level of mechanical compression and/or decreased blood flow to the optic nerve. Although high eye pressure sometimes leads to glaucoma, many people can also develop glaucoma with “normal” eye pressure, known as normal-tension glaucoma (NTG). An injury, infection or tumour in or around the eye can cause the pressure inside the eye to rise, leading to a form of glaucoma. These situations are referred to as secondary glaucoma, because their cause is a result of another medical condition. Glaucoma most frequently occurs in individuals over the age of 40, and there is a hereditary tendency for the development of the disease in some families. There is also a greater risk of developing glaucoma when you have diabetes, high blood pressure or a history of eye injuries. 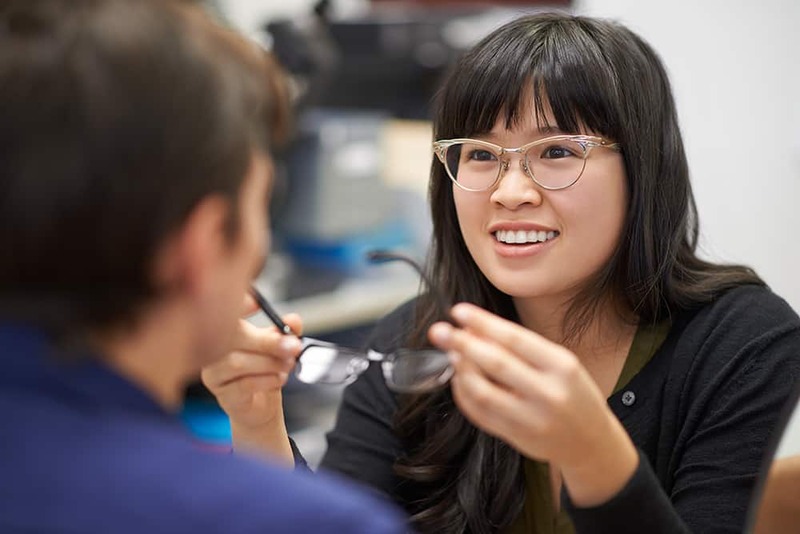 Regular eye examinations by a doctor of optometry are important for people of all ages to assess the presence of, or your risk for, glaucoma. Glaucoma cannot be detected without an eye exam. The optic nerve, at the back of the eye, carries visual information to the brain. As the fibers that make up the optic nerve are damaged due to increased pressure and/or reduced blood flow to the nerve, the amount and quality of information sent to the brain decreases and a loss of vision occurs. Usually peripheral vision is affected first, followed by central vision during the later stages of the disease. 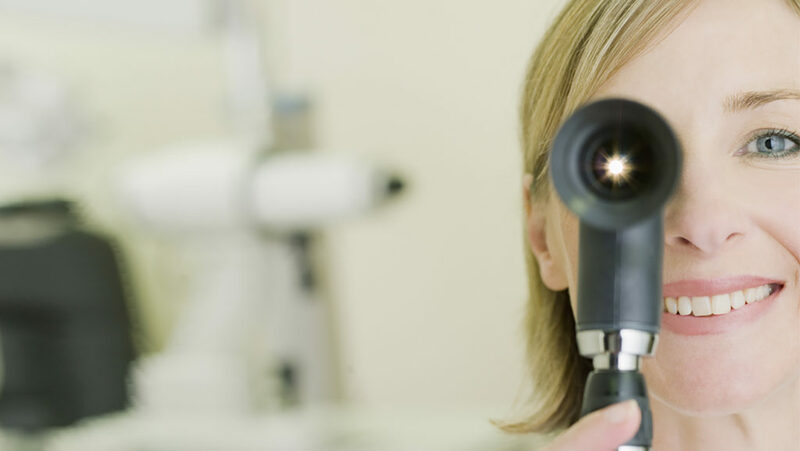 A comprehensive eye examination is often the only way to detect glaucoma. 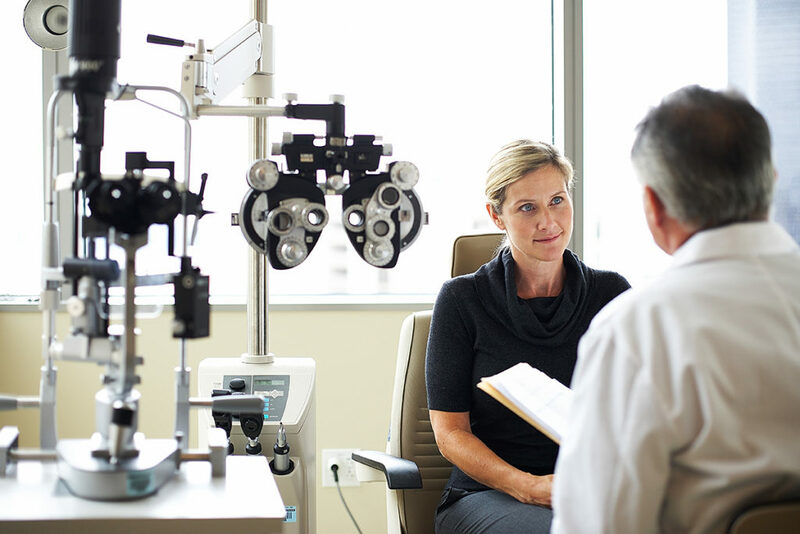 Your doctor of optometry will perform a simple and painless procedure called tonometry during your routine eye exam, which measures the internal pressure of your eye. Because normal-tension glaucoma causes damage to the optic nerve without eye pressure exceeding the normal rang, it is detected by observing the optic nerve for signs of damage. As part of a comprehensive exam, your doctor will take a detailed look at your optic nerve often through a dilated pupil using a series of hand held lenses. They may also use advanced imaging devices when assessing your optic nerve. Normal tension glaucoma is symptomless and can often take years to manifest. Diagnosis of NTG can involve monitoring a patient with standardized eye exam equipment over a number of years, and watching for changes to the optic nerve and/or visual field over time. As part of this testing, your doctor will monitor for signs and symptoms of NTG and refer for the appropriate tests or to the appropriate specialist whenever that is warranted or indicated. 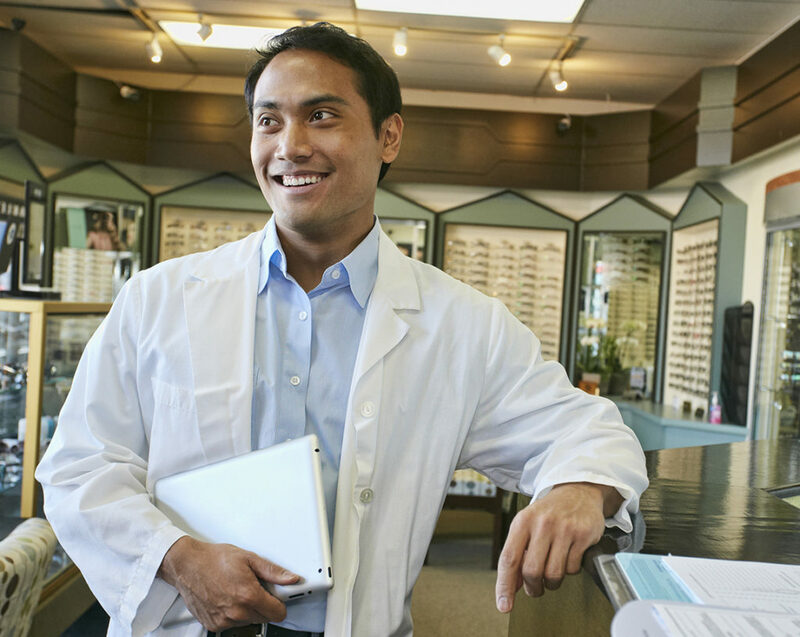 Some optometry offices choose to incorporate extended testing in their offices (such as Optical Coherence Tomography, which provides high-resolution, cross-sectional imaging of ocular tissues) to save referral wait times. Other offices will refer for further testing, knowing it is readily available in a colleague’s office (optometrist or ophthalmologist). Treatment of glaucoma will depend on the severity and progress of the disease. It cannot be cured, but rather controlled, often with daily eye drops. Laser surgery is also an effective way to control glaucoma and maintain your remaining vision. In more complicated cases, surgery may be needed to completely bypass the eye’s natural drainage system. Once vision is lost due to glaucoma, it cannot be restored. This is why regular preventive eye exams with your doctor of optometry are so important.